Why is performance availability and cost optimization on z/OS so difficult? z/OS has a richer source of machine-generated performance and configuration data than any other enterprise computing platform in the form of RMF and SMF data, so the problem certainly isn’t a lack of data. The difficulty likely has to deal with the increased complexity and size/scope of the infrastructure, the extreme amounts of data that is produced and must be constantly assessed and analyzed, the reduction of true experts due to retirements, and the industry’s reliance on code-heavy, static, SAS/MXG reports. Here’s a look at 10 of those best practices. With historically low headcount ratios and an accelerating skills gap, a process such as SAS/MXG that requires deep expertise to both write and interpret reports is no longer feasible as it once was. Additionally, teams don’t need another reporting tool – they already have more reports than they can feasibly manage. What they need is a force-multiplier in the form of allowing the machine to handle the automating of the analysis and interpretation of the data. In short, stop using an abacus when you have a calculator. Empower IT staff with the power of the machine to help them make more educated decisions without manually poring over thousands of reports. When utilized correctly, and combined with human expert knowledge, Artificial Intelligence (AI) will dramatically simplify and streamline complex processes and tasks for performance and capacity teams. Teams who are encouraged to be proactive will be able to take advantage of the numerous benefits AI offers. For z/OS performance analysts, the process of generating reports from RMF and SMF data and eyeballing many static reports to try to determine whether they represent performance risks, problems, or infrastructure inefficiencies is a challenge too unfeasible to achieve optimal performance and cost efficiency. Smart algorithms can interpret the metrics in the context of the infrastructure capabilities and best practices to provide true predictive capabilities. And statistical analysis can identify significant workload changes with minimal false positives without killing false negatives. These two first best practices get to the root of the issue that it is no longer feasible to achieve performance availability and cost optimization without a powerful, modern solution that is dedicated to achieving both of those goals. So what attributes are necessary of that modern solution? As previously stated, a set of static reports that require manual coding or expert level understanding to know where to investigate further is no longer an effective solution for most environments! Thus, interactivity is an essential feature so analysts can quickly and easily navigate through the data and find root causes, hidden bottlenecks, or other risks. The status quo has generally been that service disruptions to application availability are unavoidable. Try to keep the environment as optimized as possible, but when there is a disruption to an application, fix it as quickly as possible. That has led to the popularity of “real-time monitors.” When disruptions are inevitable, a real time monitor will let you know as soon as it occurs so you can put out the fire. But intelligent solutions will be able to predict issues before they ever impact availability by combining an understanding of the hardware capabilities and an environment’s specific workload needs. See Figure 1 below. Every bubble in Figure 1 represents the health and risk status for each key metric (x-axis) for every System that is being rated (y-axis). An intelligent, AI-driven solution will have these ratings built-in so as soon as you log in to your interactive dashboard, immediate exceptions (red bubbles) and upcoming risks that should be explored (yellow bubbles) can be immediately identified without needing to code any charts or dashboards. “Applications are the profit centers and infrastructure is the cost driver.” That’s typically how management views things while ignoring that the availability of those applications is dependent upon an optimally running infrastructure. However, it is true that infrastructure costs can run high, so it’s a best practice for your performance solution to include cost optimization intelligence built into it so you can manage costs efficiently without sacrificing performance. Understanding how the two interact and affect each other is a requirement for this. See Figure 2. In most situations, just looking at a performance exception (even one that is rated), is not enough to determine what the problem is, or if it’s even a problem at all. That’s where trending and comparing data comes in. Intelligent solutions should allow you to interact with the current data and compare the metrics with the previous day, week, month, day of the week, or any other interval that is relevant. 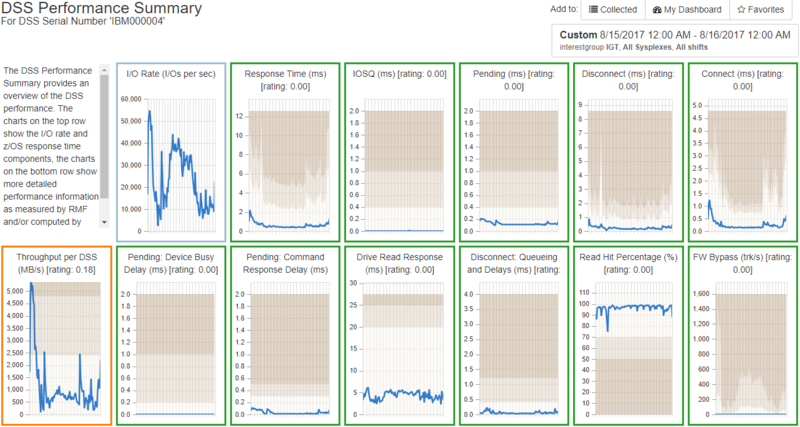 This offers insight into whether a performance exception is indeed a serious spike that needs immediate attention, or if it’s a normal trend. See Figure 3. When an issue is flagged, you need to be able to identify which workload or infrastructure element is to blame or needs to be tuned. Knowing where to look and how to look through the many metrics and reports provided by RMF/SMF data requires an easy, intelligent solution. See Figure 4. Many z/OS resources are shared among many workloads, and it’s important to be able to segment those out from shared resources so you can report on them. This includes report classes, service classes and even volsers that may need to be grouped together. 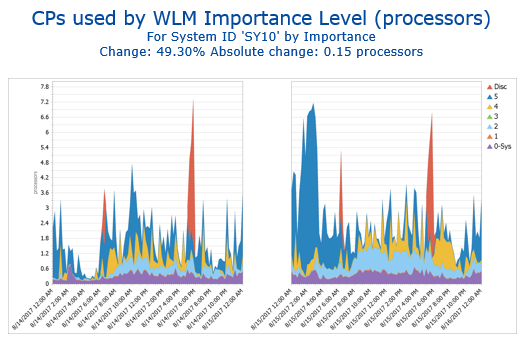 This is useful to see before and after a change to verify what is happening in your system is what was predicted by the application group making the change. 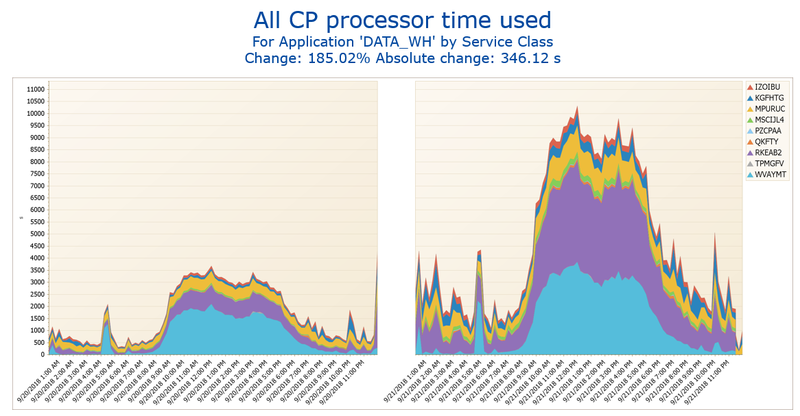 Figure 5 below shows views from a data warehouse application, where service classes are grouped together, and we can see what service classes have increased in use. Having this information grouped by application infrastructure views helps us make better decisions. Analyzing many related metrics at one time turns the old “black box” analytics into “white box” or “clear box” analytics. 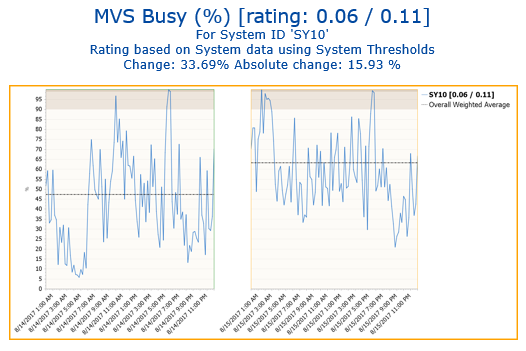 Figure 6 below shows an example of white box analytics for one DSS. At a glance, you can see many related metrics that provide a clear analytical picture of the performance within this DSS. Because of the complexity of the RMF/SMF data, there are skills gaps for both new employees and seasoned engineers alike. A solution that is intuitive, easy to use, encompasses the entire environment, and teaches and explains is critical to keep everyone up-to-speed on old and new performance metrics alike. 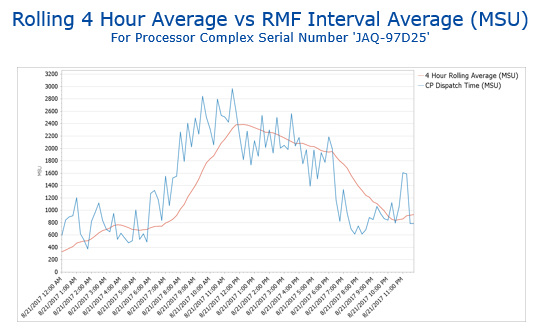 RMF and SMF data already provide all the information a z/OS performance analyst needs to ensure optimal performance and keep costs to a minimum. The challenge is in efficiently accessing that data. Machine intelligence is designed to automate that processes far more effectively than humans. That automation includes processing the data, correlating it, and giving it a risk rating or score based on the hardware capabilities and workload requirements. When this process is automated and presented to an analyst in a graphical interface that is easy to use, customize, and navigate, then cost and performance optimization becomes not only achievable, but easily so!